Your kitteh-filled life is close to being complete as of this moment. 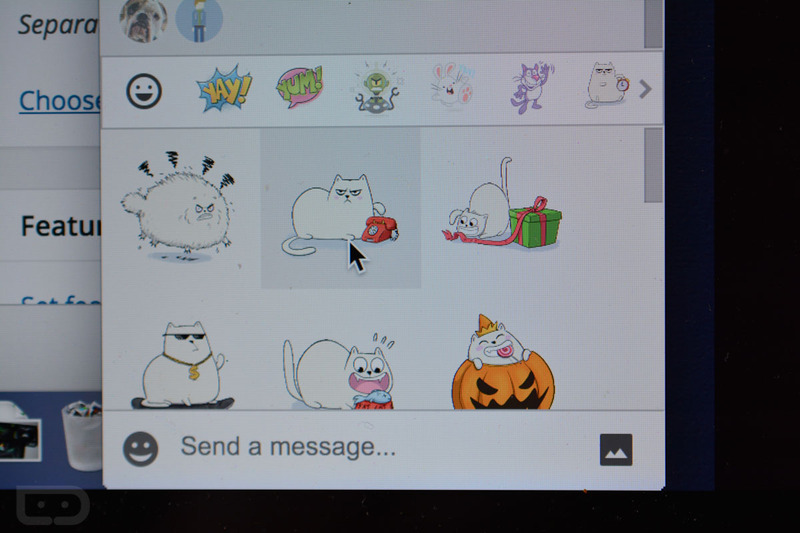 The Hangouts extension on Chrome now has access to stickers. Go get them.